It’s important to remember that retrograde extrapolation is in an Orange County DUI is not perfect science. Orange County DUI is treated differently from DUI’s in Los Angeles County, San Bernardino County and Riverside DUI. An Orange County DUI is very contentious at even low blood alcohol content. I have seen the district attorney go after an Orange County DUI even when the blood alcohol content is .07 which is below the legal limit. yes, I said they will prosecute a case even if it is below the legal limit. Why is this? They will argue that a person was higher than the legal limit at the time of driving. This means that a person was .08 or more at the time of driving. They do this by ASSUMING and using a process called retrograde extrapolation. Retrograde Extrapolation in an Orange County DUI is not a perfect science. Actually, it is BAD science. Some of the things they will consider in an Orange County DUI is when a person stopped drinking. How much a person had to drink and what the person drank. There are more factors as well which is too much to go into in one article. They will assume that a person is already in the elimination phase. This means that a person has finished drinking a few hours ago and the alcohol is leaving the system at a steady pace. This pace is usually .015, however experts will often say something outrageous such as .10-.30. They will say .30 to cut off any argument of absorbing because often times a person’s first blow will be very high which can set up a rising argument. Instead of conceding this experts who work for the state who is prosecuting the Orange County DUI will account for this by saying instead of absorbing and causing the instrument to read higher, the person was actually just eliminating a lot of alcohol. . It is recommended to consult an attorney and have them check your case. There are many attorneys out there who offer consultations for your Orange County DUI case. 301 – Orange County DUI Lawyer Warning: What to do when you are pulled over. 301 – What Happens at My Long Beach DUI Sentencing? 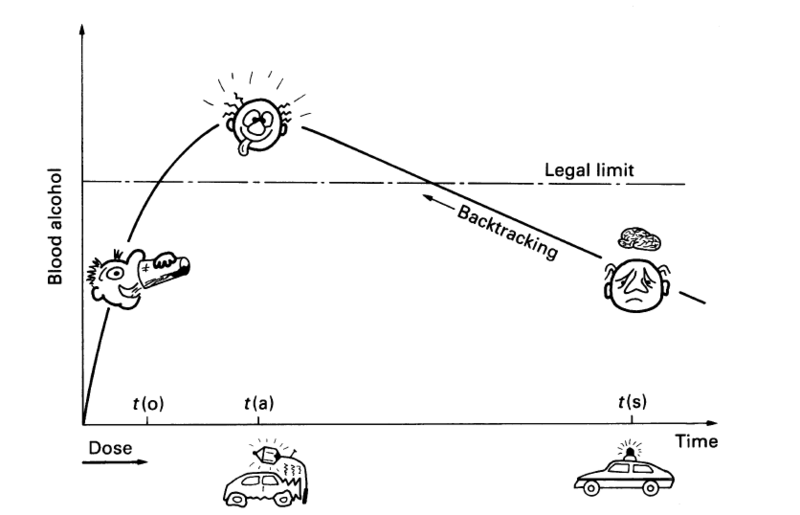 301 – DUI Laws in California – Why am I charged with a .07? 301 – Do I have to take the breathe test on the side of the road in a DUI? 301 – California DUI Expungement – Can I expunge my 2nd offense Los Angeles DUI? Hieu Vu demonstrates advanced knowledge of procedure and case law. His commitment to his clients is unparalleled. His tenacity and victories in trial are already earning him the respect of his peers outstanding and dedicated trial lawyer who really cares about his clients. Hieu is also very knowledgeable, passionate and an aggressive criminal defense attorney practicing in Orange County and Los Angeles County courts. He is extremely motivated for his clients and is an excellent advocate and excels in the courtroom. He can fight your charge quickly and affordably. You can contact him on his website , or call at 714-589-3063.